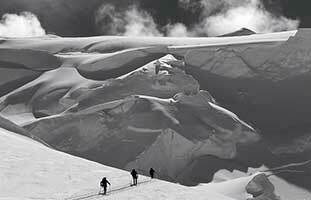 Alaska has always been a source of awe and mystery and has some of the best skiing in the world. One of the finest resorts in the state is the Alyeska Resort with a top elevation of 2751 feet and a 2501 vertical drop. The area gets an average of 631 inches of snow annually. Even though this is some of the best skiing in the world, you won’t find the slopes overly crowded, and there are no long lift lines. There are nine lifts, including six chair lifts and two surface lifts, and one cable car. There are 68 trails for beginners, intermediates, and experts, with the majority of the trails designed for intermediate skiers. 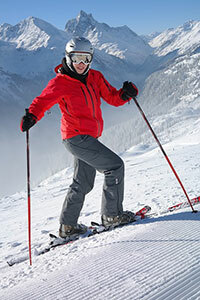 Night time skiing is allowed, which will make your ski experience more adventurous and thrilling. You will discover snow capped mountains, hanging glaciers, and of course, the famous Northern Lights. Skiing Magazine has ranked this resort number nine of the top twenty-five killer ski trips. The season begins at the Alyeska Resort in mid November, and runs through mid April. This area of Alaska boasts the longest daytime areas in the United States, with approximately sixteen hours of daylight each day during April. In December, however, there are only about seven hours of daylight – which makes night time skiing necessary if you are going to get in the time that you want to spend on the slopes. The Alyeska Prince Hotel is the place to stay where you will enjoy elegant rooms and fine dining. Nightly entertainment is available as well. There are other nightlife spots in the area as well, that are not associated with the Hotel. If tubing interests you, then visiting the Glacier Tubing Park is an absolute must! Featuring two lanes of terrain and a surface lift, everyone in the family will enjoy spending time at the tubing park. The Alyeska Terrain Park is a must for snowboarding enthusiasts. Other winter activities that can be enjoyed in and around the Alyeska Resort include flight seeing, helisking, ocean cruising tours, dog sledding, ice climbing, back country skiing, mountaineering, and polar bear viewing. Get a taste of what Alaska is really like, and what skiing is meant to be! There are activities for the entire family to enjoy, and there are many area sights and attractions to be enjoyed. This really is an awesome winter family ski vacation!